Getting our students retelling, even in a very simple form, is SO powerful! It creates active listeners and learners and really enlivens the learning process. Throughout my own career as an EFL teacher, retelling is something I plan into my lessons for all levels of learners. Just "remembering" what we've learned is a simple form of retelling and something that allows repetition and a "jellying" of the learning experience. 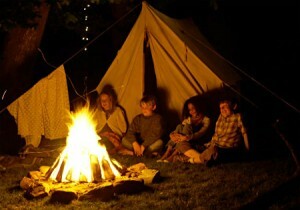 Retelling is also incredibly social and we are hard wired for this - think of how we are captivated around the campfire by "story" or how powerful a hold gossip has on us. You can harness this ancient force in your classroom too! The best way is to give students a variety of language material - audio / video / written. Doesn't have to be what we commonly associate with retelling - a story. I usually use 4 different types of material for a larger class. Allow them time to understand the material and then put them in groups to retell / share what they were given. Monitor and then when most have retold, split them up into other groups to retell again to new partners. Continue until the final step - have them retell what someone else told them! This type of jigsaw style lesson works well for retelling. Language is intimately tied to memory. And we understand too little about memory. However, over the years I've understood how student's with higher levels of fluency in a second language have a great ability to retell and "remember" language. So retelling is also a perfect placement/level test. Give students a very simple paragraph or story. They should even at a very low level, understand all the vocabulary/ideas. Next, create checklist of main ideas and information. Ask the student questions and check if they can recall the information. The more information recalled, the higher the level. A simple and effective formative test. See the power point below for some examples. Here is my number 1 story for use in retelling! It works great. Here too, are some great funny stories for a wonderful retelling lesson for higher levels. Wonderful point, David... also great for "regular" elementary students! It's amazing how little practice kids really get in speaking (that takes organized thought) during the school day. Bet it's in a reverse proportion to how much practice the teacher gets in this! Whether it is first or second language, just that process of speaking publicly and "organizing our thoughts" (as you put it) is really one of the foundations upon which a lot of learning is based. Learning is a two fold process that too few realize - input/output. I have an instruction sheet for organizing a jigsaw type activity for story telling - using our Funny Stories (which I typed by memory and embellished!). I'll have to dig it up once my main computer or hard drives, arrive by ship from Canada.